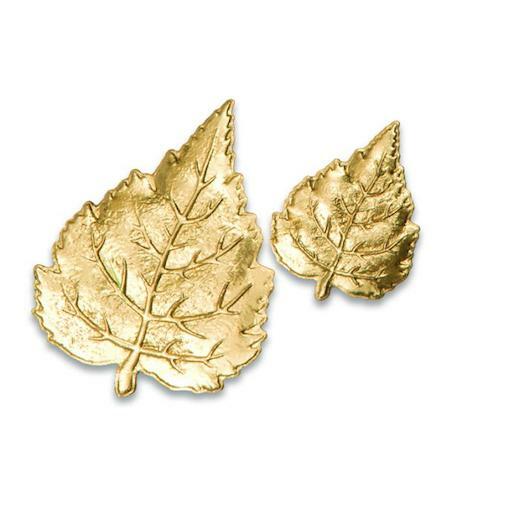 With lifelike details and remarkable dimension, these leaves look almost like the real thing. 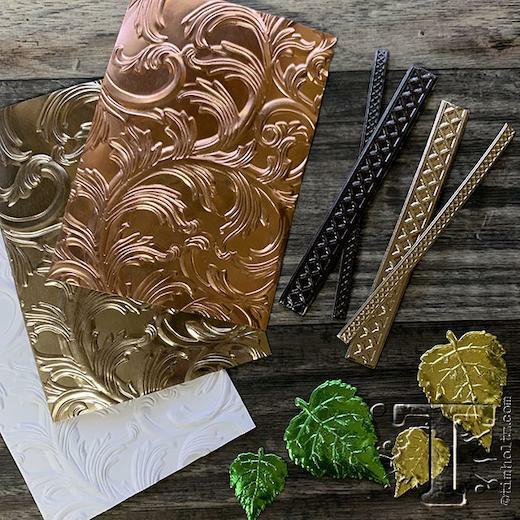 Cut and emboss leaves in two sizes out of paper, card, vellum or metallic foil in a single, easy step with the Leaf 3-D Impresslits™ Embossing folder by Tim Holtz®. Texture Fades Embossing Folders easily emboss in such a way that select areas of the image appear perfectly faded and distressed. Turn ordinary cardstock, paper, metallic foil or vellum into an embossed, textured masterpiece. 4.45cm x 6.03cm - 2.86cm x 3.81cm.